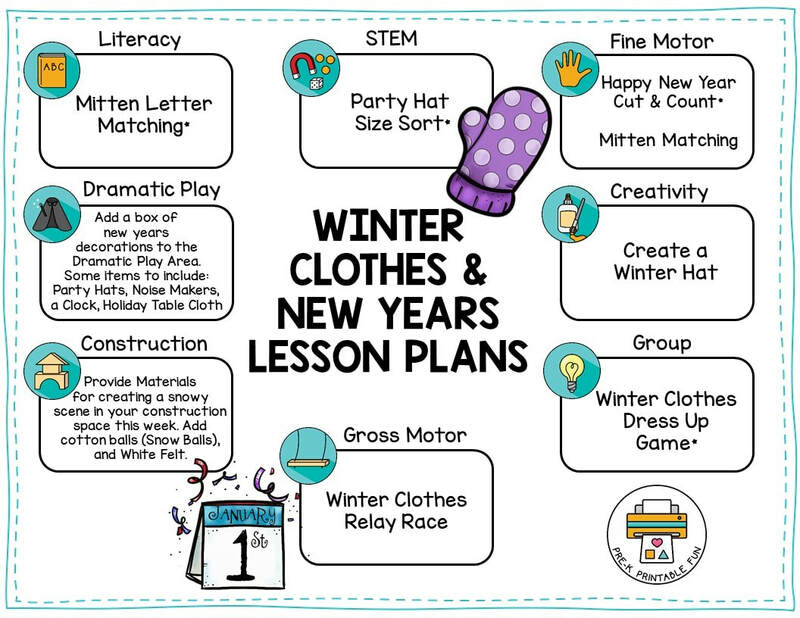 with a Pre-K Printables Club Membership! Already a member? Log in to print! Add a box of new years decorations to the Dramatic Play Area. Some items to include: Party Hats, Noise Makers, a Clock, Holiday Table Cloth, etc.